There's steam coming out of my Copics this month, let me tell you! On my To Do List, I have my usual bits and bobs, a Tutorial to 'write', I need to prepare for two lots of classes, and I'm delighted to be Guest Designing for Your Next Stamp. Just as well I like being busy, innit... Keeps me out of mischief. She's adorable Faye. I love the little bow on her ear! Fab shading too. 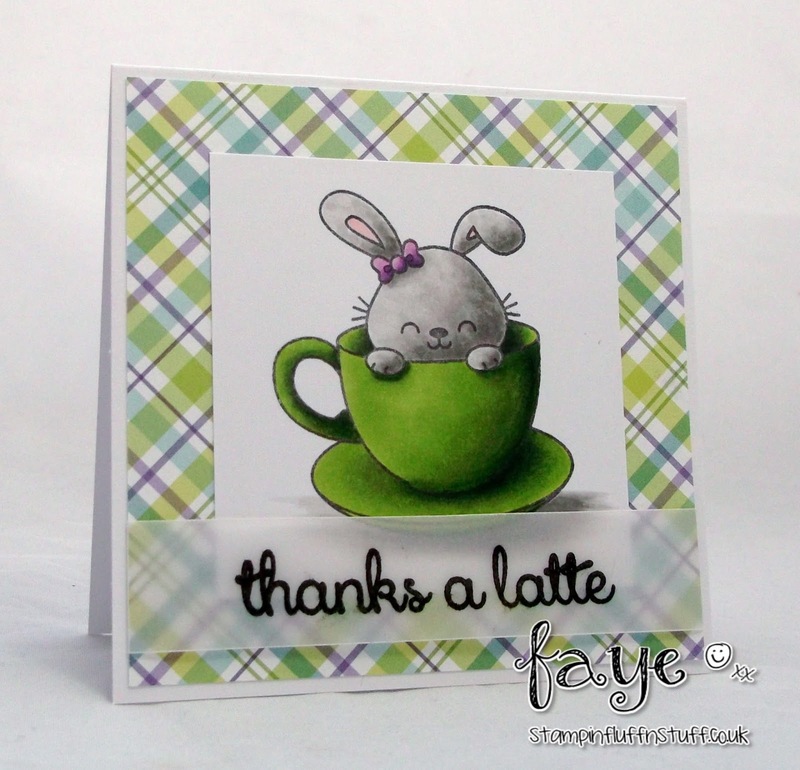 Lovely clean fresh card Faye, so cute too! Awwwww, so adorable....great coloring as always! OMG! CUTE CUTE CUTE or what? 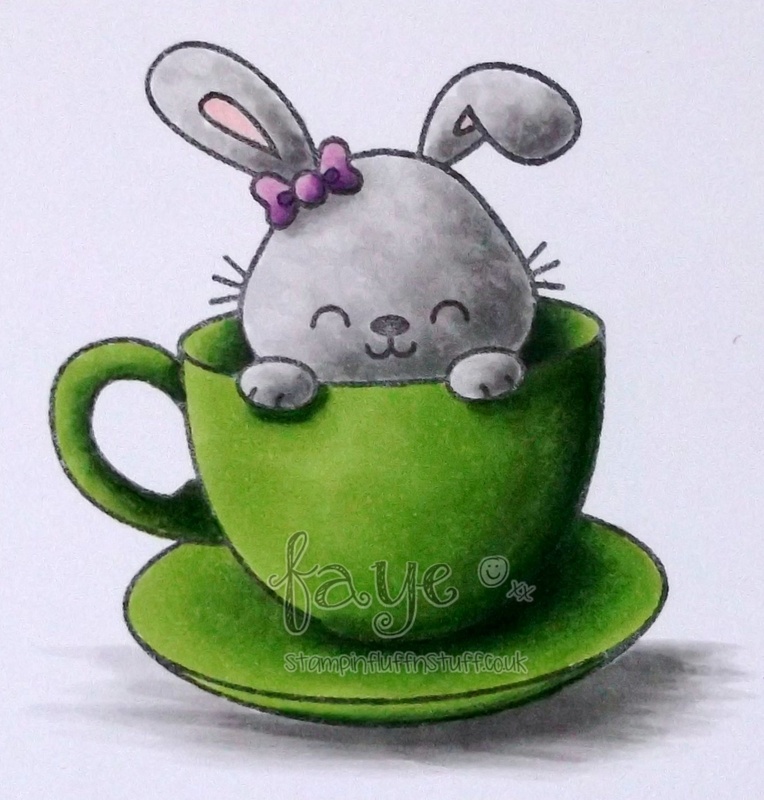 You do sound like you have a busy month ahead of you Faye but sure you will enjoy yourself doing all those projects. Another fabulous make and great image and loving all those green colours. Great sentiment too ! Love the shading on the tea cup. Now is that your morning cup or afternoon one! Hugs Muver. She's super duper CUTE! Beautiful work on the shading and love how you put the sentiment onto the vellum strip. It really adds an extra oomph to the card! Well, I usually prefer coffee in my cup...but I think perhaps this little cutie would win me over too! I like to keep busy too...that's why I need the coffee - lol!